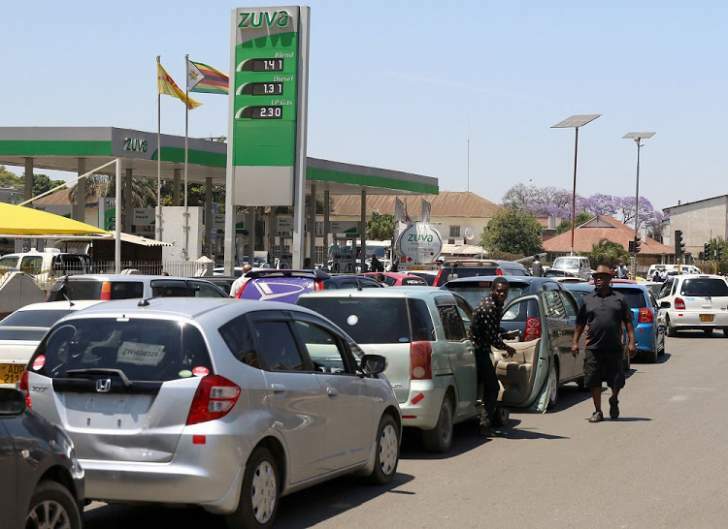 There is no immediate relief for motorists and transport operators despite government's shocking fuel hikes as long and winding queues continue to stalk several garages which are struggling to stock the much-sought products. "I have explained this over and over again, my role is to facilitate the bringing in of fuel into the country and as far as I am concerned I have played my part and there is enough fuel. "If you go and check at Mabvuku and Msasa depots there is enough fuel, but these local fuel suppliers cannot access the fuel before making a payment which is required in foreign currency. "The problem goes back to John Mangudya (the Reserve Bank of Zimbabwe governor) who has clearly said he used to pay out US$20 million per week for fuel but now the figures have gone up. "He says he now has to pay out between US$30 million and US$32 million and the central bank is struggling. It's a national problem, not even a problem of the bank. "There is no economic activity and we need to export in order to access more foreign currency," Transport minister Joram Gumbo told the Daily News on Sunday. "Compounded by rampant illegal currency and fuel trading activities, government has today decided on the following corrective measures ... with effect from tonight, a fuel pump price of $3,11 per litre for diesel and $3,31 for petrol will come into effect," Mnangagwa said. "The prices are predicated on the ruling official exchange rate of 1:1 between the bond note and the united States dollar, and also on the need to keep fuel retailers viable," he added. "Even after implementing the agonising price hikes that we have since accepted, the situation remains the same at these service stations. "We wish the commodity could be availed at all garages to make the situation better. At times we are spending the whole day queuing for nothing," lamented 41-year-old Clemence Chimuzinda of Harare. "It's still the same. I have been to four different service stations since early in the morning and I have been queuing for nothing. Supplies have been exhausted while people are waiting in the queues. "The price hike…has clearly failed and government needs to find another way to solve the fuel problem. I used to pay $40 for a full tank but now I need about $140. "Maybe if foreign currency is availed the problem will disappear. Right now I should be at work and attending lectures afterwards,"Mudzurandende said. The strike was triggered by the steep fuel price hikes which came hardly two months after government had introduced the unpopular two cents per dollar transaction tax which economists say worsened the country's economic crisis.